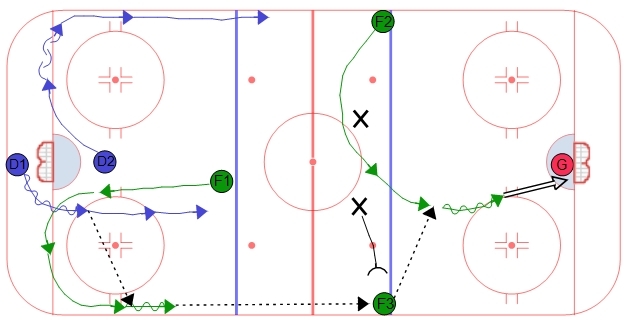 Double Swing Power Play Breakout - Up & Chip | Ice Hockey Systems Inc. This is somewhat of a home run option. The objective is to create a breakaway for F2. 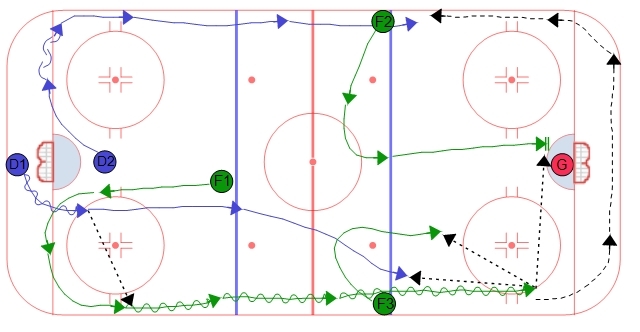 When F1 receives the puck they send the puck to the far blue line to F3, F3 chips the puck softly into the zone. 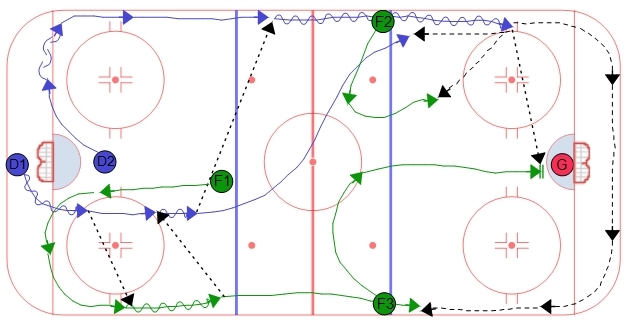 F3 needs to try and pull the opponents defense outside the dots and place the puck in behind them. 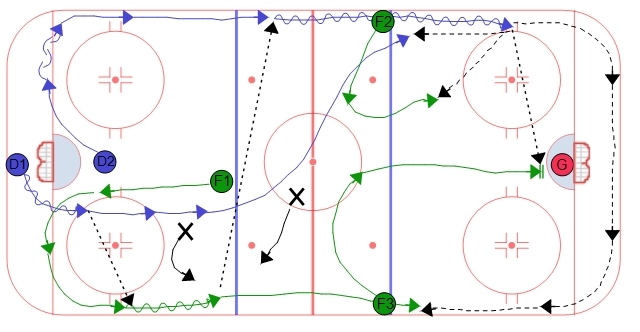 F2 needs to come off the opposite wall and hit the zone with speed in anticipation of F3 chipping the puck in behind their defense.